After failing to score against Overfelt back in Week 2, the Santa Clara Bruins didn’t need much time at all to get on the scoreboard in Saturday’s playoff rematch. In an attempt at avenging their early-season loss, the Bruins marched methodically down the field on their opening possession against the Royals. 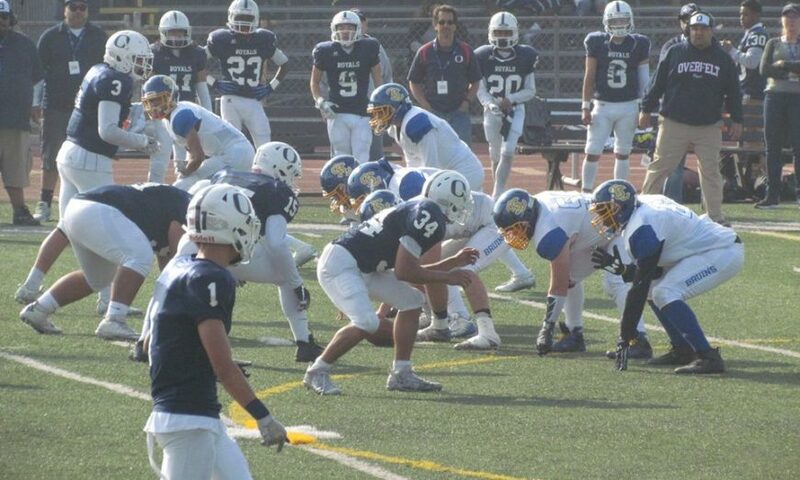 An impressive Michael Vick-esque scramble from senior quarterback Nick Garcia and a big pass completion to senior wide receiver Richard Corona helped set up an eventual five-yard touchdown run by Garcia. Unfortunately for Santa Clara fans, the Bruins would be unable to duplicate their opening drive success the rest of the half. After multiple defensive stops by both teams, Overfelt eventually got their offense going, taking a 21-7 lead into the second half. The deficit for the Bruins didn’t come without some controversy, however. Overfelt scored their second and third touchdowns moments after it appeared the Bruins should have gotten possession of the ball. With the score tied at 7-7, it appeared as if the Royals had fumbled at the one-yard line with the ball clearly recovered by the Bruins on a quarterback sneak attempt. There were no whistles blown to stop the play for forward progress prior to the Bruins gaining possession of the ball. The officials however ruled forward progress had been stopped. Overfelt would punch the ball into the endzone on the very next play. Later in the half the Bruins looked to have stopped a fourth-down play — or so it appeared. A fortunate ball spot gavie the Royals a first down by half the length of a football. Overfelt would score two plays later on a 25-yard touchdown run. While the score was only 21-7 at halftime, the Royals took the opening drive of the second half down the field quickly and essentially put the game away with another touchdown. A two-point conversion made the score 29-7. After Santa Clara moved the ball swiftly on offense to start the game, the Bruins simply could not put together another drive when it mattered. Overfelt would go on to win 50-14. The lopsided loss is certainly a tough way for the Bruins to witness their season end after finishing league season in a three-way tie for first-place. Santa Clara, Mountain View and Saratoga all finished 5-1 in league play. Alongside Garcia and Corona, the Bruins received key contributions this season from fellow seniors Seth Everett, Justin Rogers, Joey Arey, Jacob Frank and Jaren Valdez. As for the future for the school on the other side of town, their current season will continue next week. The Wilcox Chargers ran away with their first-round victory over the Piedmont Hills Pirates, winning by a final of 60-6. While the final score was lopsided, the Chargers carried just a 7-6 lead into the second quarter. That’s where Wilcox would put the game away for good. 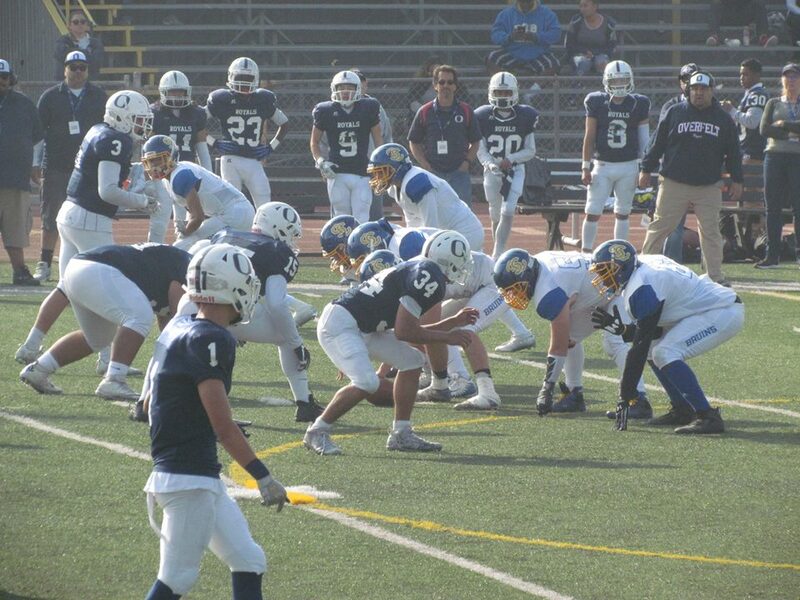 The Chargers offense scored a touchdown on their first drive of the second quarter and then immediately went up two touchdowns on a pick-six score from safety Paul Rosa. In a flash the Chargers were up 21-6 and never looked back. Cornerback Aaron Ah Sing added a touchdown of his own on a fumble recovery in the end zone, and fellow defensive back Jacob Dominguez would also secure an interception late in the game. Not to mention, the Chargers’ defense also came up with a pair of safeties in this game. In total the defense combined for 16 points. Wilcox will now face Salinas on Black Friday. The Cowboys are a team the Chargers should beat on paper. Wilcox is ranked 56th in the state of California while Salinas is 184th. Salinas also lost 25-0 to Milpitas earlier this season, a team which Wilcox beat in their league play 28-7. That said, the Salinas Cowboys have had a full two weeks off to prepare for facing the Chargers. A weird schedule quirk due to poor air quality that caused rescheduled games has given the Cowboys an extra week off between their first round win and the matchup with Wilcox. That could lend this game to being closer than many expect.